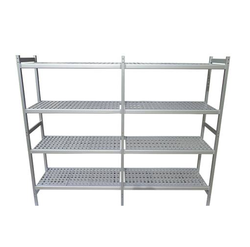 Manufacturer of a wide range of products which include cold room racks. We feel proud to introduce ourselves as the leading manufacturer, wholesaler and supplier of Cold Room Racks that are used in different cold room for placing different food items. Looking for Kitchen Racks ?